Doris C. (Oakley) Williams, 86, of Bristol, a former longtime Plainville resident, passed away Monday January 28, 2019 at Countryside Manor of Bristol, surrounded by her loving family. She was the wife of the late Lawrence F. Williams, Jr.
Doris was born April 1, 1932 in Bristol, a daughter of the late Charles and Eva (Nesbit) Oakley. 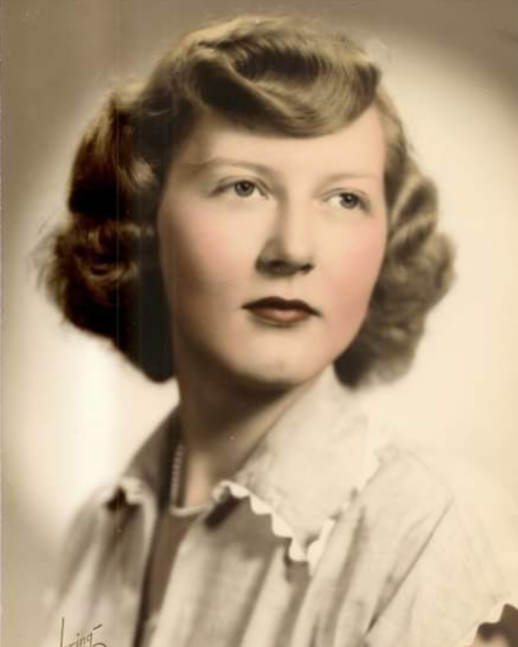 She was a 1950 graduate of Plainville High School and had worked at D&L Offices in the New Accounts department, retiring after many years of service. She had also worked for S.N.E.T for several years. Doris enjoyed reading and cooking, but mostly she loved being surrounded by her family. Doris leaves her sons, Christopher Brian Williams of Northbridge, MA and Kevin Williams of Bristol (Laurie Mills of Bristol), her brother, Charles Oakley, III of Lincoln, MA, formerly of Burlington, her grandchildren, Brian Williams, serving in the US Navy, Michael Williams and Shane Williams both of Bristol, Sean Williams of Phoenix, AZ and Gregory Williams and Sarah Williams both of New Britain, her great grandchildren, Ryen Williams, Shannon Williams, Nicole Williams, Olivia Williams and Natalie Williams and many nieces and nephews. She also leaves her daughter-in-law, Kathleen Williams and her former daughter-in-law, Linda Williams. Doris was predeceased by her son, Michael F. Williams, her brother George Oakley and her sister, Edna (Oakley) Gaccetta. Funeral services with burial in Plainville West Cemetery will be celebrated privately. There are no calling hours. If desired memorial contributions may be made to the American Cancer Society 825 Brook Street Rocky Hill, CT 06067 or to the American Diabetes Association 2275 Silas Deane Highway Rocky Hill, CT 06067. The Bailey Funeral Home 48 Broad Street in Plainville has care of arrangements.